RCP – Remote Copy Protocol Is used to copy files between two Unix/Linux systems. We do not recommend using this utility since it is unsecured and sends data over network without encryption. In this quick tutorial we will look at few different Linux shells , main shell configuration files and few quick tricks that will help you when working with shell commands. We previously looked into scheduling jobs with at command now we will look into using crontab to execute commands in the future time. 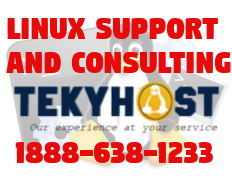 Being able to execute a Linux command at a later time is very important feature for systems Administrator. Job scheduling is taken care by two daemons: atd and crond. Atd manages jobs that run only ones while crond runs jobs at predefined times. Lets take a look at few examples using Linux powerful find command. In general find command recursively searches directories and finds files that match specific criteria. This powerful tool can look for files based on name, inode number, modification time, file types and even size. Find command can also perform some action on found files….